As an email marketer, it's important to invest in people who come along with you as your business grows. Reaching the right target audience is the primary step in any email marketing plan. Zoho Campaigns' consent management tool lets you gauge and contact only the people who are interested in hearing from you, so you can have both a clean engagement and a stellar brand reputation. It's time to replace your campaign to-do lists with Zoho Campaigns' calendar. 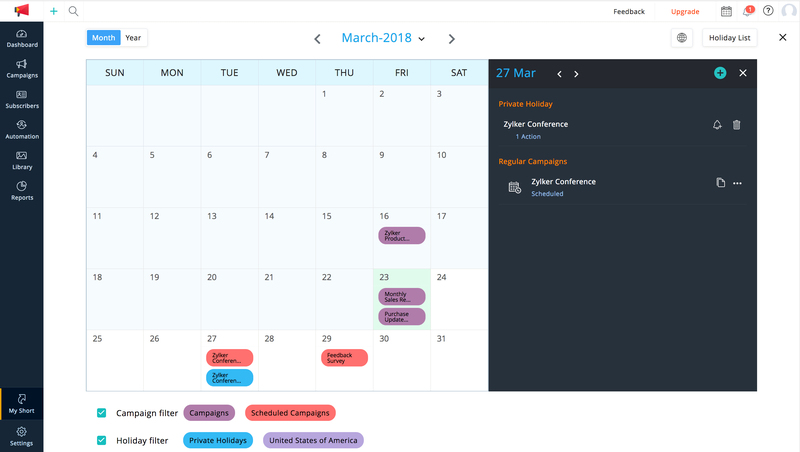 This gives you a total picture of everything you've planned for each month—the campaigns you've already scheduled, the campaigns you want to draft on particular days, and the list of country-specific holidays available. When setting reminders for each, you can get notified well ahead of time so that you don't miss anything in your busy schedule. Sending a mass of emails to a huge mailing list is never ideal. Not only are your message stargeted at an overly-broad audience, but you're straining your servers by sending them all at once. 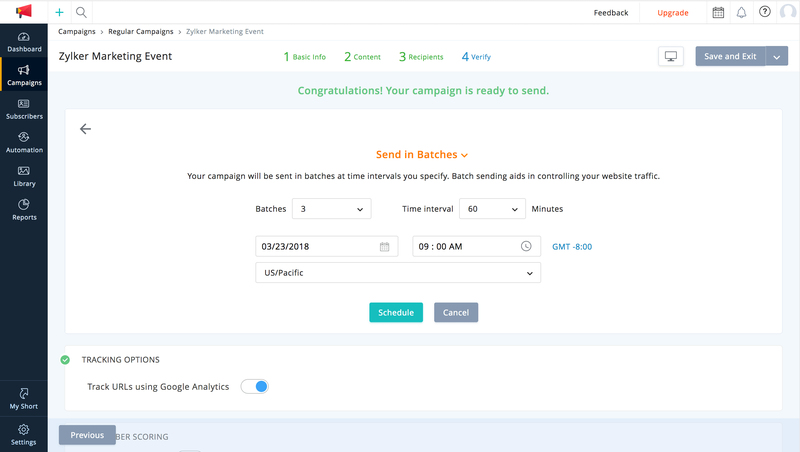 With Batch Send in Campaigns, you can specifically target different segments of your recipients, send your email over multiple batches, and study the campaign performance overview in parts. You achieve the best resonance with your subscribers when they actually notice your emails. Studying each of your recipients and understanding their email engagement pattern is essential before reaching out. Zoho Campaigns lets you deliver emails at your recipients' prime time of open so that your open rates grow and your subscribers acknowledge you. Observing your subscribers' preferences is an important step in getting to know them. Get your subscribers to actively participate in all of your campaigns by creating polls. 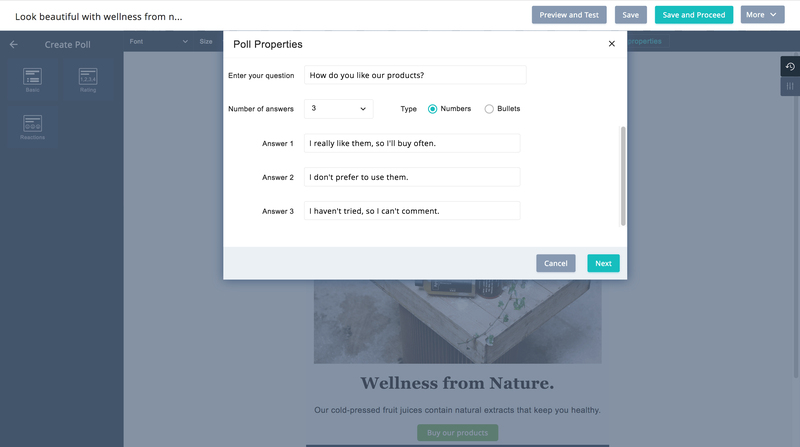 Email polls give you instant information on what your audience is feeling, lets you logically reflect on the collected data, and helps you better understand the audience's take on your efforts. 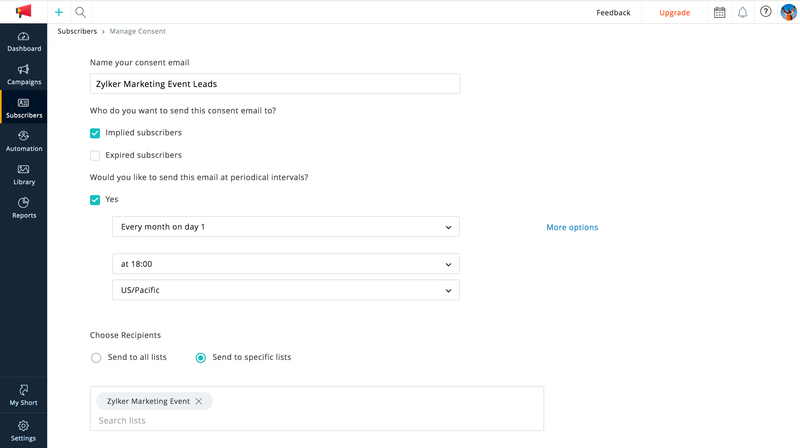 Sending targeted emails is made much easier with Bulk Segment option. Just specify a grouping criteria for your mailing list, and it'll automatically be segmented based on that. 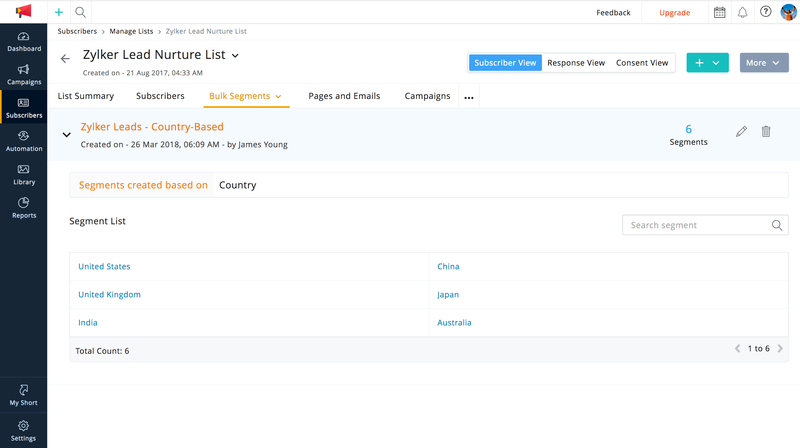 For example, when you give 'country' as a segmentation criterion for your list containing attendees of a marketing event, your subscribers will be grouped into different segments based on the countries they belong to.